Hogan is re-signing with the Broncos, Troy Renck of Denver 7 News reports. Analysis: Hogan was allowed to hit free agency after Denver declined to extend him a contract tender, but he's nonetheless returning to the team that claimed him off waivers from Washington last September. He'll compete with Garrett Grayson and possibly a draft pick for the No. 2 role behind Joe Flacco. Hogan became an unrestricted free agent Wednesday after the Broncos decline to tender him a contract for 2019, freelance NFL writer Howard Balzer reports. Analysis: Hogan served as the Broncos' backup quarterback for the latter half of the past season after the team released Chad Kelly. The Broncos are doing a near-complete overhaul of their quarterback room this offseason, as the team has already acquired Joe Flacco from the Ravens while shipping 2018 starter Case Keenum out to the Redskins. 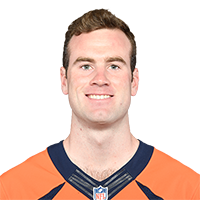 Hogan is set to step in as the new backup to starting quarterback Case Keenum in Week 8 against the Chiefs after the Broncos released Chad Kelly on Wednesday, Mike Klis of 9News Denver reports. 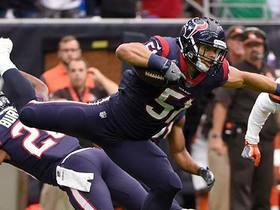 Hogan was claimed off waivers by the Broncos, Albert Breer of TheMMQB.com reports. Analysis: It's been an interesting offseason for Hogan, who was traded from the Browns to the Redskins in April and now winds up replacing first-round bust Paxton Lynch in Denver. Hogan will initially slot in as the No. 3 quarterback behind Case Keenum and Chad Kelly. 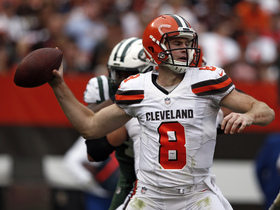 The Browns dealt Hogan to the Redskins on Friday, Patrick Maks of the Browns' official site reports. Hogan appeared in four games and completed 46 of 75 passes for 517 yards with four touchdowns and five interceptions. 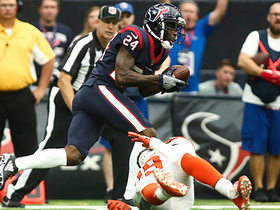 Houston Texans cornerback Johnathan Joseph capitalizes on an overthrow by Cleveland Browns quarterback Kevin Hogan and runs 82 yards for a pick six. 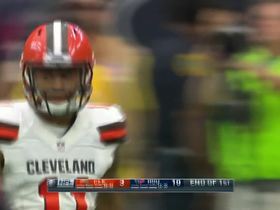 Cleveland Browns wide receiver Bryce Treggs brings in a sideline throw from quarterback Kevin Hogan. 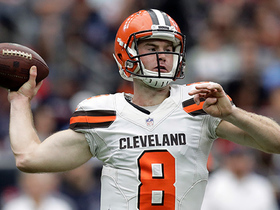 Cleveland Browns quarterback Kevin Hogan throws to Seth Devalve for a 3-yard touchdown. 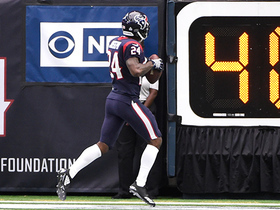 Houston Texans linebacker Dylan Cole out-bodies his matchup and comes off with the pick but is carted off the field after reaching for his hamstring. 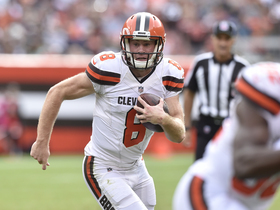 NFL Network Insider Ian Rapoport brings the latest information on Browns decision to start QB Kevin Hogan and what that means for rookie QB DeShone Kizer. 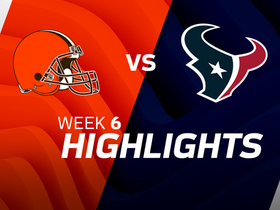 The "Good Morning Football" crew talks about the Browns decision to name QB Kevin Hogan their starter on Sunday against the Texans. 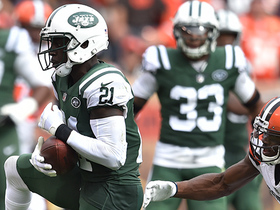 New York Jets cornerback Morris Claiborne interrupts Hogan for a spectacular interception. 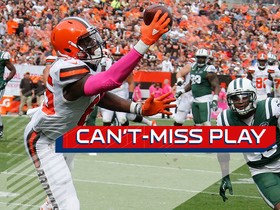 Cleveland Browns tight end David Njoku makes an impressive one-handed catch to score the first touchdown of the game.